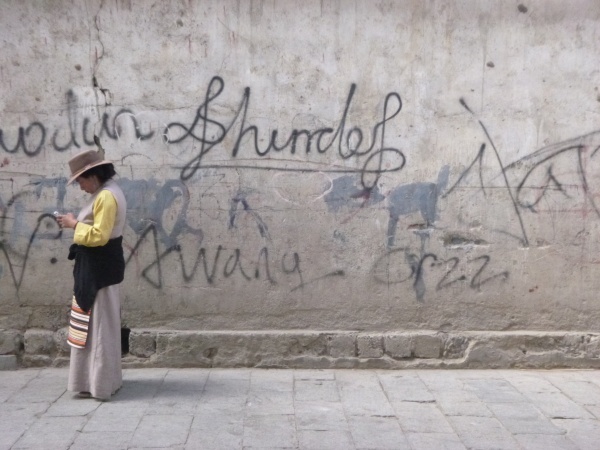 China tends to conjure up images of tourist hordes swarming the Great Wall or Forbidden City, but ask the locals and they’ll tell you Yunnan is the place to visit. Yunnan province borders Vietnam, Myanmar and Tibet, and is known in China for its stunning scenery, more than two dozen unique ethnic minorities, and delicious food. The most popular destinations are the historic cities of Dali (大理) and Lijiang (丽江), but if you want something more adventurous then pack your bags for Yubeng (雨崩). Yubeng is a pilgrimage destination for Tibetan Bhuddists who travel there to worship the Sacred Waterfall (雨崩神瀑), which is said to wash away illness or sins by rinsing and walking three circles around its base. Yubeng is relatively remote and the trip is not for the faint of heart or weak of body. Prior to 2013 there was no electricity, all travel in and out is by foot or mule over a roughly 12 km long dirt path, hot water is spotty, cell service nonexistent, and altitude is over 3000 meters. It is also stunningly beautiful, authentic and worth the hike for any adventure traveler. 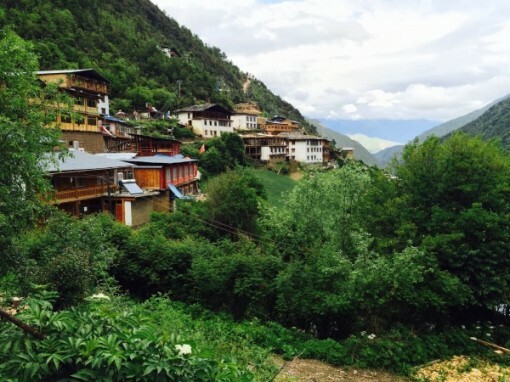 Yubeng is located in the Deqing Tibetan Autonomous Prefecture in the far northwest corner of Yunnan province. It is split into upper and lower village with a twenty-minute hike separating the two. Upper village is on the hillside closest to the hike in and has a more rustic feel, while lower village is slightly more comfortable and located down in a mountain valley. 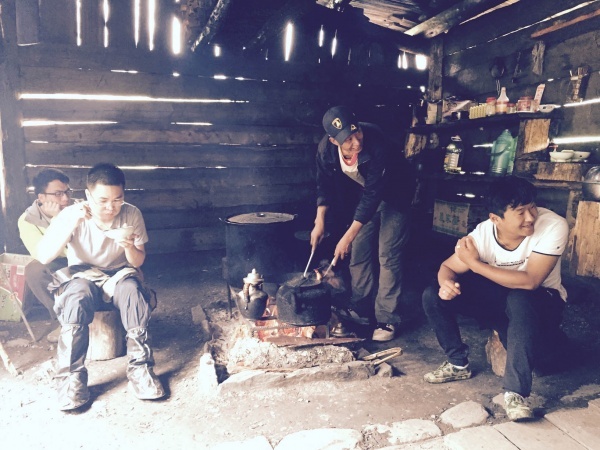 While Yubeng is off most western tourist radars, it is relatively well traveled by the Chinese backpacker crowd, so cheap hotels and local buses can get you there if you really want to try it. However, for the sake of time and language barriers I highly recommend booking as part of a small group which can be found in Lijiang. While technically this would fit into the package tour category we all loathe, in this case I wouldn’t have done it any other way. My guide was a local Tibetan who takes a group of 6-10 people in an old minivan along a pre-planned route and pre-arranged hotels (Contact: Zhaxi 扎西 Cerli 次里 WeChat ID 13988756442). Typical cost is around 1700 RMB and includes everything except food. While you won’t have the freedom to set your own schedule, you also won’t have to navigate Chinese-only back country, you’ll make more stops and see more sights than you would busing it, and it definitely won’t be one of those stereotypical package tour experiences. If you want to attempt it via buses, make sure you are well prepared, bring Chinese language translations of the places you’re trying to get to, and a cell phone with a data plan. 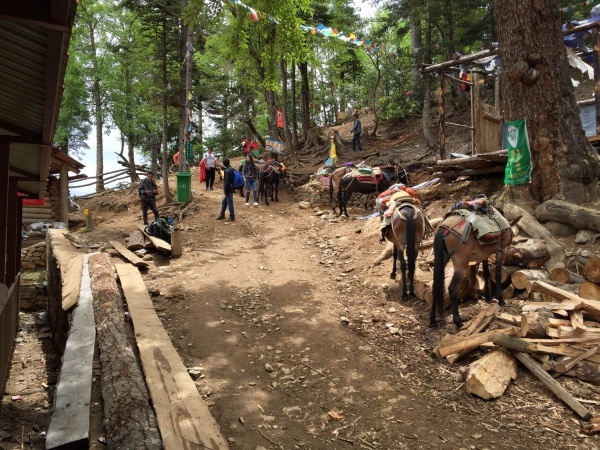 You should assume that no one outside of Lijiang will speak any English, there will be no English signs, there is very little English-language information about this area, and any information you do find is likely to have mistakes and be outdated. A typical itinerary will require at least 6 days; my own route is shown below. You can paste the characters into the Chinese search engine Baidu to see what each place looks like. Traditionally Yubeng is a pilgrimage sight and to this day most travelers are Tibetan Buddhist pilgrims going to visit the Sacred Waterfall. Two other equally beautiful and challenging hikes are Ice Lake (冰湖) and Holy Lake (神湖), for directions to any site just ask a local to point you in the right direction and just follow the path. Xidang to Yubeng hike – The way in to Yubeng, 12km hike, 900m vertical ascent with three waystations selling snacks, fried rice and instant noodles. Mules can be rented for around 250RMB. 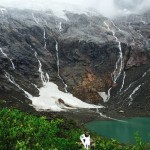 Upper Yubeng to Ice Lake hike – a day hike to a small glacial lake in the mountain valley above upper Yubeng. Get directions from locals and stick to the path, occasionally marked by green trash cans. 12km one way, 1000m vertical ascent with 1 waystation at Dabenying (大本营) selling fried rice and a traditional milk tea. Lower Yubeng to Holy Lake hike – similar setting to Ice Lake, farther and higher, add a couple hours, 1400m vertical ascent. 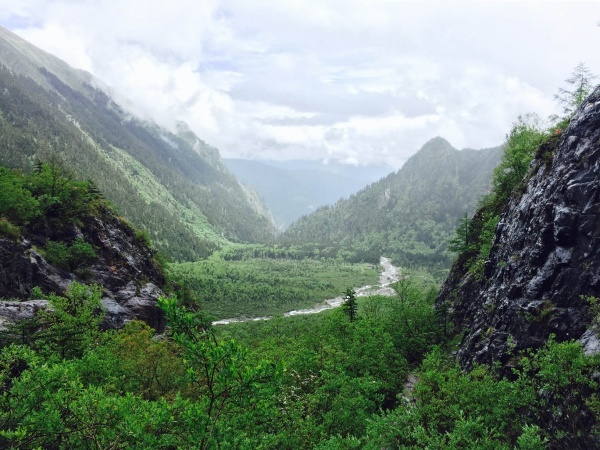 Lower Yubeng to Sacred Waterfall hike – a half day hike to a waterfall sacred to Tibetans. 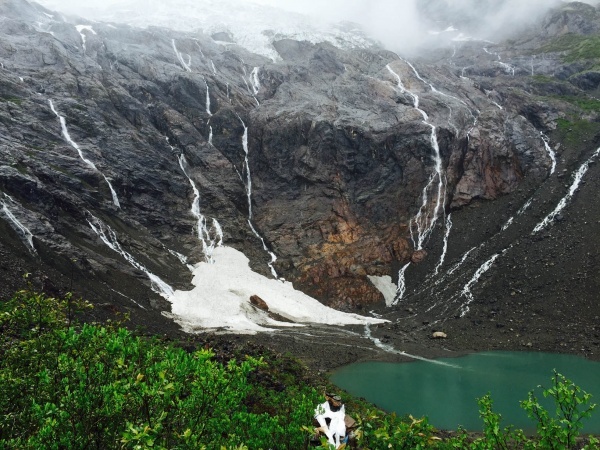 The waterfall itself is decidedly underwhelming, but the scenery is beautiful, and the authentic Tibetan pilgrimage experience is well worth the trip. 7km one way, 800m vertical ascent with 1 waystation selling fried rice. Most residents have converted their homes into lodges, there are a lot of sleeping options of low to medium quality in the 100 RMB/night range. Yubeng literally means Rain Collapse in Chinese, that is to say it rains a lot, typically just a light drizzle, but frequent, bring waterproof hiking boots and rain protection. It’s chilly – typically 30-40 degrees, cheap hotel rooms will be cold, hot water is limited – bring appropriate clothing. There is no cell service, limited Wi-Fi and there is very little of anything except Chinese food available locally, bring in everything else you need. There is no hummus. To the two foreigners who spent 20 minutes complaining that no one in this remote mountain village of Tibetan farmers served hummus, please never travel anywhere else ever again.